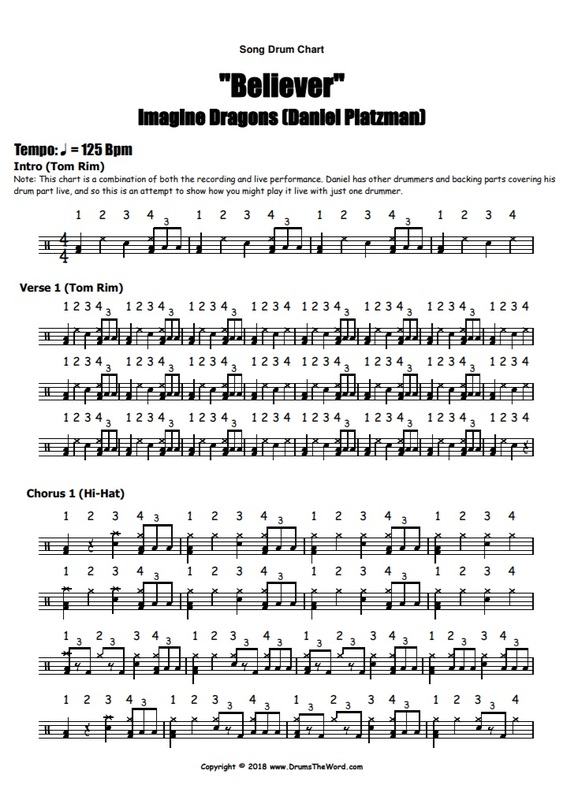 In this free video drum lesson, I want to teach you the song “Believer” by Imagine Dragons, featuring the drumming of Daniel Platzman. This has been requested from me many times and so thought it time I did an Imagine Dragons tune. The drumming is also very cool and fun/challenging to play. The drum parts feature mostly in the swung triplet style with some very cool right hand triplet patterns being played on the rim of drums. This video drum lesson attempts to combine both the live performance of Daniel Platzman with the recorded version. Most of the recorded version features sampled drum parts so Daniel adapts to play his own version live. 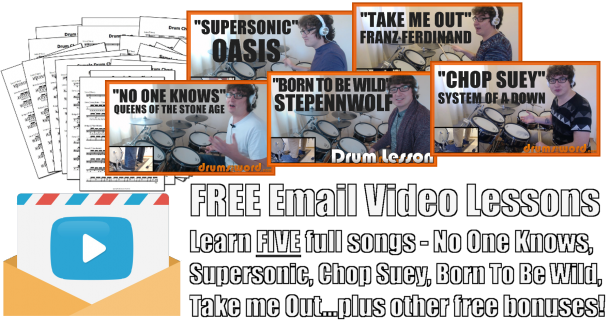 I talk about both aspects in this full song free video drum lesson.